For the new year, my PUMPS website (not this site) will be undergoing reconstruction. It has been a few years and some things are out of date. Instead the focus will be more on rate studies, financial planning and asset management as opposed to all the other issues (like publications). I will have a separate website for me, with all that stuff since some folks have hit the website looking for it. My main goal is to partner with some folks and try to help smaller utilities with financial and management issues. I will be adding work products, including the asset management stuff we are doing in Dania Beach and Davie. My hope is I energize PUMPS a bit. At the same time via FAU, we will be developing a study of utility costs and revenues since 2005, with emphasis on the impact of the 2008-2009 Recession. This will be instructive – and be an update to the 1997 and 199 studies I did (hard to believe they were so long ago). We will be looking nationally, as well as at different types of treatment, location and size. The idea will be to develop some tools to help utilities benchmark where they are in the bigger picture, and to help with identifying trends and potential missing issues. 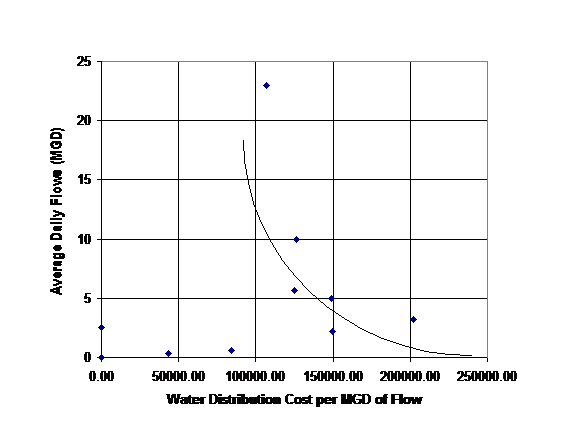 COnncection rates and asset is improtant to insure hte timely renewal and repalcement of critical infrastrucutre. After all, the people who get fired when things go wrong with a utility are not the politicians – its us!. I will be solicitng (or my studnet will) data from over 300 utilities across the country. If you are interested, or have clients who might be, let me know. 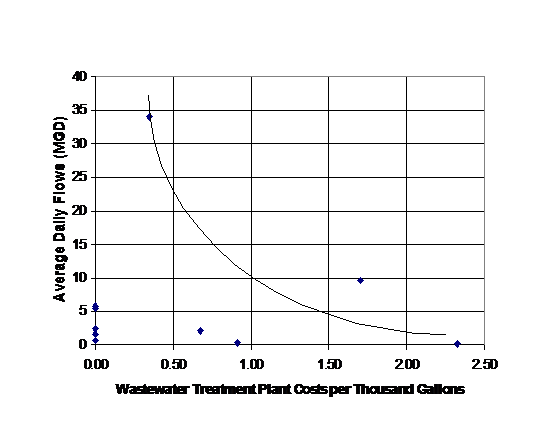 I have tnatively discussed publication with AWWA – but it won’t jsut be water. Resue, wastewater etc will be included. Should be fun! Look for the results next summer!! Now let’s take a look at the breakdown (from NRC 1997). In 1960, there were about 19,000 community water utilities in the US according to a National Research Council report published in 1997. 80% of the US population was served. in 1963 there were approximately 16,700 water systems serving communities with populations of fewer than 10,000; by 1993 this number had more than tripled—to 54,200 such systems. Approximately 1,000 new small community water systems are formed each year (EPA, 1995). In 2007 there were over 52,000 community water systems according to EPA, and by 2010 the number was 54,000. 85% of the population is served. So the growth is in those small systems with incidental increases in the total number of people served (although the full numbers are more significant). 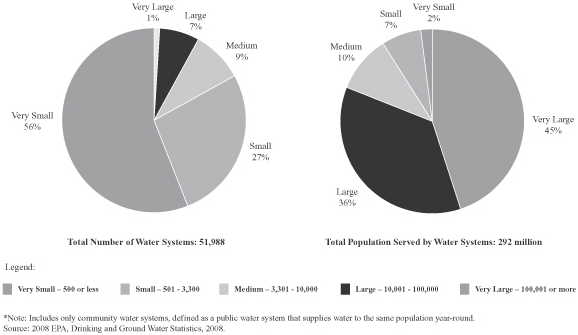 a Percentage indicates the fraction of total U.S. community water supply systems in this category. 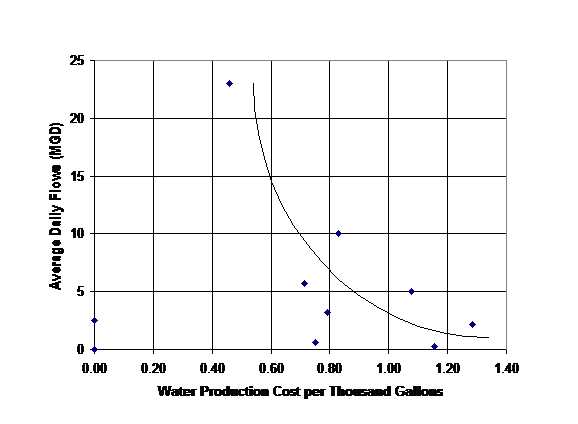 b Percentage is relative to the total population served by community water systems, which is less than the size of the U.S. population as a whole. SOURCES: EPA, 1994; Public Health Service, 1965. Updating these numbers, there are over 54,000 systems in the US, and growth is almost exclusively in the very small sector. 93% are considered to be small or very small systems—serving fewer than 10,000 people. Even though these small systems are numerous, they serve only a small fraction of the population. Very small systems, those that serve 3,300 people or fewer make up 84 percent of systems, yet serve 10 percent of the population. Most critical is the 30,000 new very small systems that serve only 5 million people (averaging 170 per system). In contrast, the very large systems currently serve 45% of the population. Large plus very large make it 80%. The 800 largest systems (1.6%) serve more than 56 percent of the population. 900 new systems were added, but large systems served an additional 90 million people. What this information suggests if that the large and very large sector has the ability to raise funds to deal with infrastructure needs (as they have historically), but that there may be a significant issue for smaller, rural system that have grown up with federal funds over the past 50 years. As these system start to come to the end of their useful life, rural customers are in for a significant rate shock. Pipeline average $100 per foot to install. In and urban area with say, 60 ft lots, that is $3000/household. In rural communities, the residents may be far more spread out. As an example, a system I am familiar with in the Carolinas, a two mile loop served 100 houses. That is a $1.05 million pipeline for 100 hours or $10,500 per house. With dwindling federal funds, rural customers, who are already making 20% less than their urban counterparts, and who are used to very low rates, that generally do not account for replacement funding, will find major sticker shock. 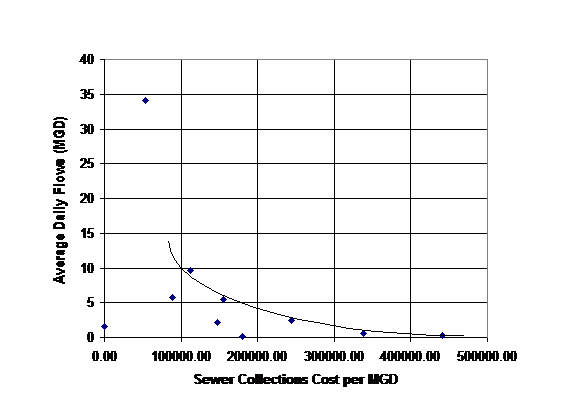 This large number of relatively small utilities may not have the operating expertise, financial and technological capability or economies of scale to provide services or raise capital to upgrade or maintain their infrastructure. Keep in mind that small systems have less resources and less available expertise. In contrast the record of large and very large utilities, EPA reports that 3.5 percent of all U.S. community water systems violated Safe Drinking Water Act microbiological standards one or more times between October 1992 and January 1995, and 1.3 percent violated chemical standards, according to data from the U.S. Environmental Protection Agency (EPA)..
For water treatment, water distribution, sewer collection and wastewater treatment, the graphics clearly demonstrated the economy-of-scale of the larger utility operations versus small scale operations (see Figures 2-5). 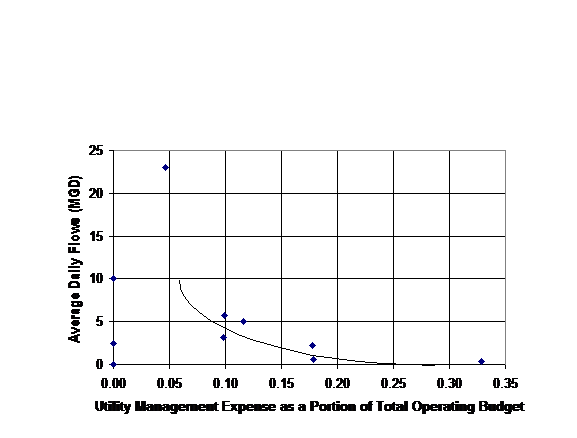 The administrative costs as a percentage of the.total budget parameter also demonstrated the economy-of-scale argument that larger utilities can perform tasks at a lesser cost per unit than the smaller utilities (see Figure 6). Having reviewed the operations costs, the next step was to review the existing rates. Given the economy-of-scale apparent in Figures 2 to 6, it was expected that there would be a tendency for smaller system to have higher rates. Figures 2-6 demonstrate this phenomena.